The field of science dedicated to understanding "space weather" - which can pose hazards to satellites and aircraft - may be wiped out in the UK. That is the verdict of experts responding to UK physics and astronomy cuts made as administrators seek to plug an £80m hole in their finances. The UK is recognised as a world leader in solar-terrestrial physics (STP). The science is crucial for protecting our communications networks against powerful outbursts from the Sun. The organisation MIST (Magnetosphere, Ionosphere and Solar-Terrestrial) which represents the STP community in the UK, has issued a damning statement in which it says the cuts will prove catastrophic to this area of research. Andrew Kavanagh, a space scientist at Lancaster University and member of the MIST council, said the Science and Technology Facilities Council (STFC), which looks after UK astronomy, was "essentially scrapping an entire field of research in the UK". Flares and coronal mass ejections - large clouds of ionised gas thrown off the Sun - along with their associated shock waves are among the solar phenomena which exert an important influence on the space environment. They compress the Earth's protective magnetic "bubble" and trigger geomagnetic storms. The energetic particles from these solar outbursts can damage the electronics on satellites and cause communications black-outs in the polar regions. Space weather also has implications for planes crossing the Arctic on trans-polar flights. The Earth's magnetic field funnels energetic particles into the polar regions, exposing passengers and air crews to higher radiation levels there. Tracking the Sun's changing activity is vital for managing radiation doses and for protecting aircraft electronics. It is also of economic importance, since it costs airlines to deviate from flight paths. The STFC has removed ground-based solar-terrestrial facilities from its future programmes. The research council argues that it will continue to fund solar-terrestrial physics satellites through its subscriptions to the European Space Agency (Esa). But researchers point out that they require observations from both ground-based and space-based instruments to get the full picture. Sources said they were not aware of any firm plans for forthcoming missions which fell into this category. An existing constellation of Esa satellites designed to study space weather, called Cluster, has been in space for eight years and its future funding is uncertain. The STFC's delivery plan implies cuts to the funding of STP facilities and research at the universities of Lancaster, Leicester, Southampton, Aberystwyth, at University College London and at the Rutherford Appleton Laboratory in Didcot. 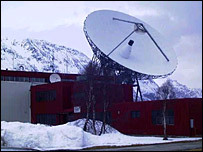 The UK remains committed by an international agreement to the Eiscat project which operates radar facilities in Norway. But a senior scientist within MIST said he was doubtful whether this would last. The problems at STFC have emerged out of the government's latest spending round which has left the council short of £80m in the three-year budget plan to 2011. Scientists say the problem has been compounded by the council's decision to claw back a further £40m for unspecified developments. To manage its way out of this crisis, the research council has announced its intention to close certain programmes and cut research grants. Science societies and union officials have warned the damage to UK physics and astronomy will be incalculable and will lead to hundreds of job losses. Stan Cowley, professor of solar planetary physics at the University of Leicester, commented: "This decision appears perverse in view of the existing and future potential [of this] high-impact world class research." Solar-terrestrial physics is also vital for understanding climate change on Earth, particularly in placing firm limits on the effect of solar variations compared to the contribution made by greenhouse gases produced by human activities. 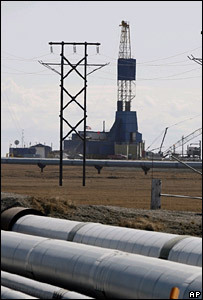 Space weather also affects many other aspects of modern life, from oil drilling operations to power grids. 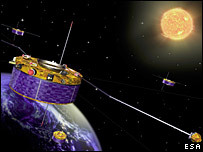 In a statement, the STFC said: "In taking the decision to withdraw from the current suite of ground-based solar-terrestial physics [STP] facilties as stated in the STFC Delivery Plan it should be recognised that the 'ground-based' part of the STP programme has been gradually reducing over recent years following a peer review process started in 2005. "Under the current budgetary constraints and the need to reprioritise its programme, the decision was taken to complete this process. Our continued involvement in the international Eiscat facility will be considered in this light. "Nevertheless, proposals for future facilities and projects, both ground and space-based, will still be considered under normal peer review processes." Prominent researchers from the STP community question why, when the government has invested considerable amounts of money into research and innovation, an applications-based science such as solar-terrestrial physics has been one of the first to be cut. In its statement, MIST also expressed concern over what it described as "a lack of transparency in recent decision-making" within STFC. STP researchers have attacked the lack of availability of records for minuted meetings concerning the decisions leading up to the funding cuts. With many projects competing for financial support, scientists point out that the process must be seen to be open and fair. In evidence to the House of Commons Select Committee on Innovation, Universities and Skills, Professor Keith Mason, chief executive of the STFC, defended his organisation's record on consultation. He added: "The period of time we are talking about is essentially a period where all the research councils are making bids to DIUS [Department for Innovation, Universities & Skills] for funding and one of the reasons for so-called secrecy - or at least keeping this under wraps - is that it was a negotiating situation." The STFC was formed as a new research council on 1 April 2007 through a merger of the Council for the Central Laboratory of the Research Councils (CCLRC) and the Particle Physics and Astronomy Research Council (PParc).